1. The fabric shower curtain which is made of polyester feels very substantial.Use it as a stand alone curtain or as a liner for a cloth shower curtain. 2. It is sturdy, and helps keep extra water splatters from getting out of the shower. The curtain allows enough light through to brighten the interior of one's shower while at the same time ensuring privacy. Flexible enough to hang properly. 3. Digitally Printed Vibrant Colors. Great color combo which is easy to match to similar colored decor. 4. Whimsical Design Refreshes Your Bathroom. Your guests Will Be Amazed. It will be the Hubs of the bathroom. 5. There is no toxic plastic odor when you open up our package. It is healthy, safe,waterproofand non PVC. 6. This shower curtain also comes with plastic hooks and metal grommets. Size:72Wx78L inches (180x200cm),100% polyester,Complimentary hooks for easy installation and a tasteful appearance,easy sliding.Eco Friendly Anti Bacterial. Water repellent: Shower curtain waterproof a firm yet smooth texture, which promotes water bead formation and prevents curtain soaking and bathroom floor messes. Small water beads form across the curtain, affording gentle water removal and swift shower curtain drying. Reliable: Reinforced ring/hook holes for easy hanging,rust-proof metal grommets prevents tearing,durable throughout long term use. Antibacterial: Our high quality anti-bacterial curtain mildew resistant,inhibits mold,quick dry.Easily to be cleaned and maintained.Machine washable. Convenient: Easily fits any standard size shower/tub and works with straight or curved shower rods. Shower curtains is made to withstand moisture-rich bathroom environments. 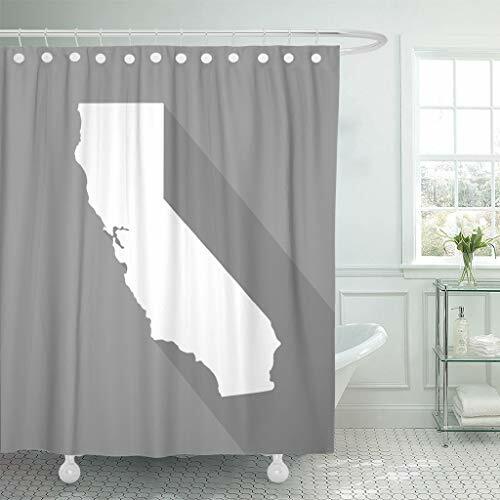 Helps keep extra water splatters from getting out of the shower.Instantly updating any bathroom deco theme and providing an unparalleled, upscale look.